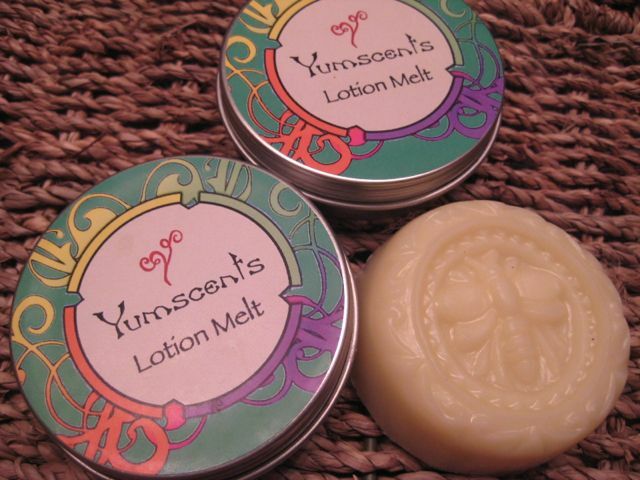 Our lotion melts are wonderful for soothing rough, chapped and dry skin. We now have a convenient purse size tin! They are available in natural cocoa butter scent, Almond, and Warm Vanilla Sugar.